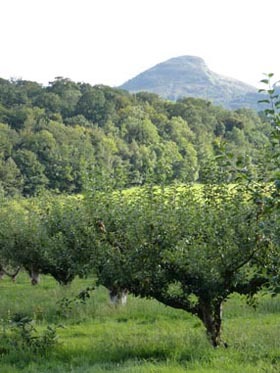 We have a new farm shop with ouside seating for you to enjoy the views of the Orchard. 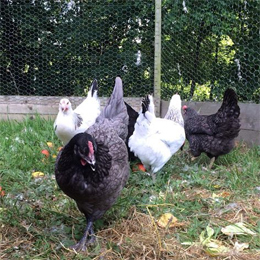 We have also a childrens area with chickens and you might be able to buy their eggs. 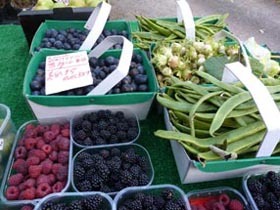 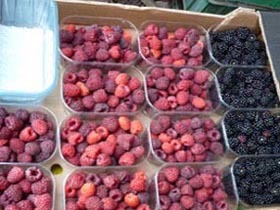 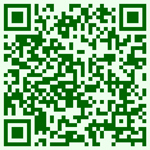 We also have a new range of many different soft fruits and vegetables and additional local suppliers of quality produce. 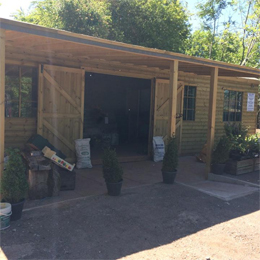 The farm has a small farm shop where produce from the holding and other local growers is sold. 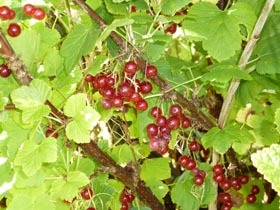 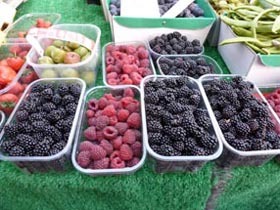 There is also pick your own when fruit is in season and it is a delight to walk through the orchard and rows of soft fruit and select your own Grown in Wales fruit for eating and cooking. 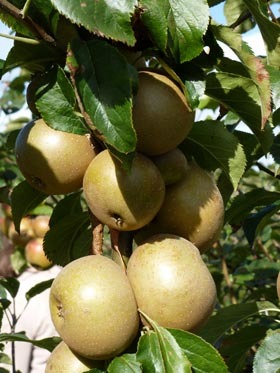 Peppe Lensa came to Britain in 1957 from Italy and together with his brother settled in two holdings near to Abergavenny. 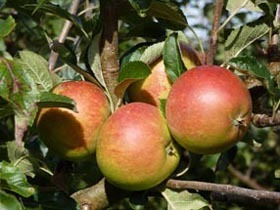 Both built up successful businesses in fruit and vegetable growing. 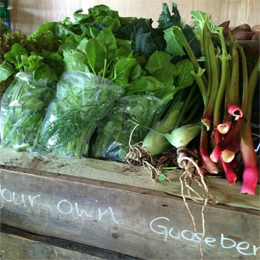 Peppe’s own produce is seasonal and fresh straight from the field on the morning of the day of purchase. 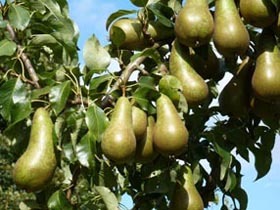 He has been growing crops for 50 years so look out for varieties that grow well here and are in season for the best taste. 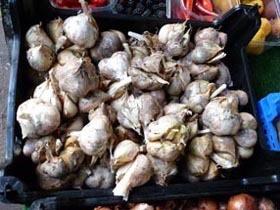 The Garlic which is an unusual crop for this part of Wales is especially fine. 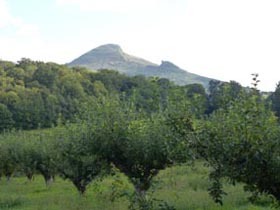 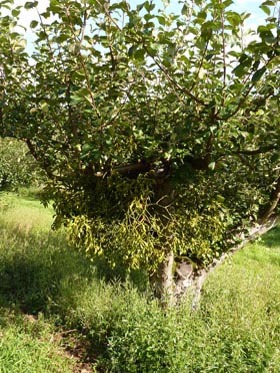 It is an Italian variety and in the location behind the Black Mountains and below the Ysgryd Fawr is in a microclimate of less rainfall so develops large cloves. 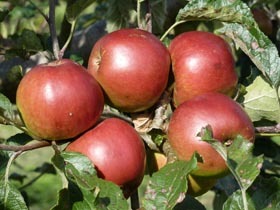 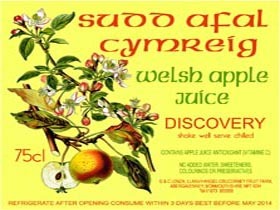 The individual varieties Apple and Pear juice are some of the best tasting available. 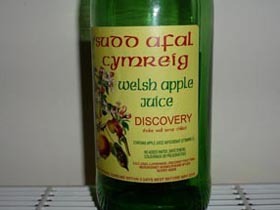 It is creamy showing that it is fresh and perfect in taste and is bottled for Peppe by a gold medal winner of apple juices.